I write this as I sit in the Los Angeles international airport. Aaron and I took a trip to California for a dear friends wedding. We extended out trip to make a little vacation out of it. While I love vacationing and had such a wonderful time in CA, I am also very anxious to get home. Arriving home means the start of our FET cycle is so close to beginning! In approx. two weeks I will begin meds to help prepare my body for the embryo or embryos that are soon to be residing there. Before we left I received my protocol and ordered my meds. I will be taking a few different meds. An oral steroid, oral antibiotic, oral estrogen pill, baby aspirin, and an intramuscular injection of PIO (progesterone in oil). Just some of my meds. The PIO will not start until I have taken the other meds for 2 weeks and ultrasound clears me to begin it. I will actually report to the Dr. two different times for ultrasounds and lab work prior to transfer. Once for baseline check and again to see that the meds have done what they should have to move forward with transfer. Our fertility clinic is located in Carmel, meaning lengthy trips. Fortunately and very thankfully, my local OB/GYN has agreed to work with our RE (reproductive endocrinologist), in Carmel, to do our monitoring locally. Huge blessing not to have to travel back and forth multiple times!! If all looks good and goes according to plan I estimate transfer to take place on or around July 6th. This is just my estimate and everything will rely on how my body decides to work. We should be very close to that date though. I wanted to talk a bit about what we have gone through and have had to complete to get to this point and make this adoption official. I am going to point out that legally, the receipt of embryos is not considered adoption. Because an embryo is not legally classified as human life, the law states that an embryo is not adoptable. With that said, many embryo donations are completed in the way that a traditional adoption would be completed as many individuals and organizations do believe embryos are life. This is obviously a very controversial subject and I won’t get into details but I will say that Aaron and I do believe in the sanctity of the life of these embryos. They were conceived and have grown to beautiful five day old embryos. We do not view them as balls of cells but as our children. We choose to call our receipt of these embryos our embryo adoption and have completed a process as similar to traditional adoption to honor and represent the life that these embryos possess. -This required various blood tests at different days throughout the month to test natural hormone levels and also an infectious disease panel. I believe they took 8 vials of blood total, five of those being in one day! I also underwent a Saline Infused Sonohystogram to ensure I had a healthy uterus capable of carrying a child. Dr.’s words, “YOU HAVE A BEAUTFIUL UTERUS!” Never expected to hear such words, but it was certainly music to our ears. : D I even got to check it out on the screen for myself. Next time I’m looking at that screen, we will witness our baby/babies being put in their cozy home, where we pray they stick and grow and develop for the long haul! All of this needed to be completed and cleared before we could sign our embryo donation agreement. 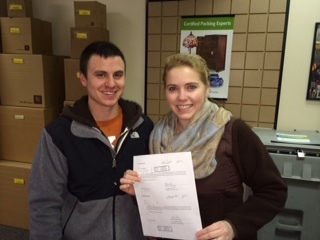 While completing and gathering all the contents for the dossier we began to work on our embryo donation agreement. With the help of a wonderful attorney, we began to draft the agreement between T&K and ourselves, regarding the donation. This agreement is a legal document that covers many things that we have agreed upon with T&K. Essentially, the agreement relinquishes T&K of any parental rights, responsibilities, etc. The embryos are transferred to us from them through this agreement. Once the agreement was signed by us we sent it off for T&K’s attorney to review. Everything looked great and she was actually impressed with how well the agreement had been written. T&K signed and those little snowflakes officially became ours. The next step was to get those little ones from Georgia to Indiana. This was actually a simpler task then I expected. We had some paperwork to fill out with both our fertility clinic and the clinic where the embryos were currently being stored. We notarized the paperwork and sent it to the necessary places, paid some shipping and handling fees, and then our clinic handled everything from there! Our snowflakes shipped overnight, traveling for their first time ever and arrived safely home to IN on April 24th 2014! 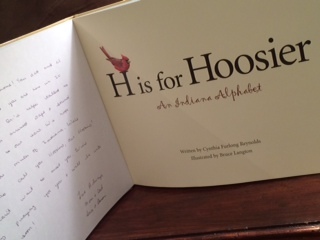 We documented this special day by purchasing and dedicating the book, “H is for Hoosier: An Indiana Alphabet”. Right now, we are in another season of waiting. We will be taking a vacation in 10 days and shortly after we return, on the first day of my natural cycle, I will begin meds. Approx. 17 days after the start of meds, God willing, we will transfer to Carmel, IN for transfer day. I should receive my medication protocol this week, a calendar instructing me what meds to take on what days and what doses, what days to go to the Dr. for blood work and ultrasounds, and most exciting… what day will be transfer day. I planned to order all my meds tomorrow. That was until we got a very pleasant surprise today, that a wonderful angel offered to donate her unused meds from her last cycle to us! These won’t get us through our cycle but every little bit helps. With no insurance coverage for these medications and procedures, costs rack up very quickly. We feel so grateful to receive such a donation. I will be contacting our RE (reproductive endocrinologist) tomorrow to confirm what we can use from the donation and what all we will still need to order. While working on all of the things that needed to be completed in order for Aaron and I to complete our embryo adoption, we had the opportunity to get to know T&K a lot more. It’s amazing how much we actually have in common. Just to name a couple things, they are big ND fans, which was a huge plus! ; ) we have a pretty similar infertility diagnosis’, we each enjoy traveling and spending time in foreign places, and we share like views on the subject of life and the chance out of the freezer these embryos deserve. T&K underwent IVF (in vitro fertilization) in 2010 after multiple attempts at conceiving on their own with no success. 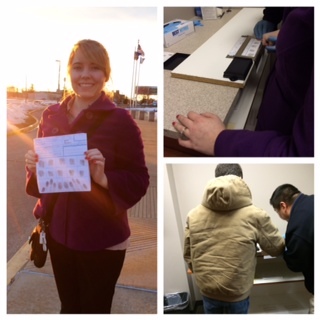 They responded very well to the fertility medications and fertilized 20 embryos! They were very surprised when they received this news. Some couples are lucky to successfully fertilize just one growing embryo. From the very beginning they felt that any remaining embryos were to be used and given a chance at an earthly life. This was always their plan. After going through an unsuccessful fresh transfer, and a successful frozen transfer, which resulted in their boy/girl twins, they were left with 16 beautiful embryos, which are currently stored in their home state of GA. After taking a few years to decide their family was complete, they began the process of searching for a new home for these little totsicles. That’s where we came in… and a couple other couples struggling through infertility. Through this journey we have had the blessing of meeting not only T&K, but also two other families that have become very dear to our hearts! Sixteen embryos is a lot. In most cases, more than enough for one family. As you can see, it took T&K only 4 embryos to achieve their two children. So with the outcome of 16 remaining embryos, T&K had the opportunity to bless not only one family but three! There are four families involved in this adoption. This consists of the donating family, and three recipient families, which includes Aaron and I and then two other recipients families. The bear we made at Build-A-Bear on adoption finalization day. A canvas I had made for all parties involved to signify the special bond we share. And our snowflake ornament gifted to us by one of the other recipient families. Due to the emotions and separation that come from donating, by the wishes of T&K, we will not continue communication after the embryos are safe and sound in IN. It is agreed, in our legal documents, that we will update each other of all contact information and address changes. We are also free to contact them for any health emergencies that may arise that they may aide in. When and if our children wish to reach out to T&K, they may do so. It is our hope that T&K will reach out to us before this. We would love to continue a relationship with them and share updates with each other. We care for them and they have become like an extended family. With that said, we do respect and understand their wishes to stop communication for now. While this is a very joyous time for Aaron and I, we have to remember that they are giving a piece of themselves away. We can’t begin to comprehend the feelings that come along with that. We hope they find peace in knowing that their decision to give these embryos life out of the freezer is such an honorable, selfless, and inspiring act. We love them for not only choosing us but for choosing this path in general! While we don’t foresee any near future communication with T&K, we do plan to keep in contact with the other two adopting families. We are so excited to follow each others journey on this path to bringing home our babies. They are wonderful people who we have connected so well with. Aaron and I feel so grateful to have gotten to know these two other families. We have built a special relationship and share a special bond. They each hold a special place in our hearts. It is in Aaron and I’s every intention to be 100% open with our children about their unique and very special origins. Having this wonderful relationship with these other families will only aid in our telling of our children’s beautiful story. “Hey guys. I finally was approved as a member of the miracles waiting website so I spent the afternoon reading through all the ads (talk about overwhelming) and it just confirmed what “T” and I were already sure of and that is that we would love for you to be the recipients of our embryos 🙂 Congratulations!! This is happening : ) We have a ton of videos of the kids from babies till now on YouTube if you want to see more of your future children’s genetic siblings.” This message was altered to respect the privacy of the donating family. My heart sank. I ran out of the bathroom, crying, to get to Aaron who was in the next room. I shared with him the news as best as I could get it out. I finally just gave him my phone for him to read it himself. 😀 We shared a moment together, laughing, crying, trying to believe this was real. I can’t explain our feelings. I can say that in that moment was the most hope we had felt in a very long time, maybe ever. This is the closest we had ever been to achieving a pregnancy, to becoming parents. We knew there was much work to do before this was official and final but it was a huge milestone made. In the three days we spent communicating with T&K, we developed such a bond and connection with them. We knew it was our right match and that every past situation didn’t work out because this one was coming! I believe the Lord had this match in store for us all along. I have so much to tell. I don’t know where to begin. I’ve rewritten this post in my head multiple times. I can’t quite possibly reflect on the last nearly 4 months I’ve been MIA in this one post, so I will play catch up with a series of posts. We decided that we weren’t going to write about another failed match so that is why I refrained from sharing any news of our match until it was legally officially. I will start by sharing that to get to our successful match, we did suffer one more failed match. The family I last blogged about in my Dec. 5th post is not the family we have matched with. I won’t spend too much time on this because we have moved on from it. The meeting went well but they informed us they were currently speaking with another recipient family as well. They wanted to take some time and didn’t see things becoming final for another 6 to 12 months. That was hard for Aaron and I to hear. We felt it would be too emotionally risky to wait potentially a year and possibly not even be the recipients. We decided that while we weren’t saying no to the situation we were going to explore any other options that arose. It simply wasn’t the family that held the embryos the Lord had waiting for us. He had something else in store. On January 8th 2014 an opportunity did arise. I opened my e-mail to discover a message from a wonderful lady I had spoken with 3 months prior. I will call her M. I met M through Miracles Waiting, the site we listed ourselves on in hopes of being contacted to receive embryos. She was on the page looking for a recipient for her remaining embryos. We spent some time chatting through e-mail and getting to know each other. While M wasn’t our match either, she was placed in our life for a reason. We had stopped communicating for about three months until that day, Jan. 8th. Her e-mail was a very pleasant surprise. She wrote to tell us that she had a friend who had embryos to donate. She thought of us and wondered if we had matched yet. We hadn’t and so she shared her friend’s e-mail for Aaron and I to contact this new potential donor family. We had little information or background on the situation. We knew that the embryos were created using the husband and wife’s genetic material vs. a sperm and/or egg donor. We knew the embryos were of great quality and that the donors had conceived boy/girl twins from the same batch and also that they were open to being known and were okay with future contact from the resulting children. These were all really good things. So Aaron and I prepared an e-mail and sent along a few pictures and a bunch of information about our selves. That e-mail was the beginning of a conversation that has changed our lives. Two months, 2 weeks, and 3 days later here we are, recipients of this wonderful donating families remaining frozen embryos, now our’s. Our snowflake babies. I can’t explain the feelings that we each felt knowing that these embryos were now officially ours. This is the closest we’ve ever been to becoming parents. No word, no action, nothing could ever express the amount of thanks these beautiful people, who have shared the gift of life with us, deserve. They are angels. We are eternally grateful and love them beyond measure. Also for M, for thinking of us, remembering us, and putting us in touch with her friend. And for you all! We have so many people to be thankful for. The way this match resulted was completely Gods work. His hands were all over it. He presented this opportunity to us. We did nothing. We wouldn’t have found this match because it was nowhere listed to be found. He showed it to us through M. We began our search for embryos in August of 2013. That’s 7 months of waiting. Some people wait years. We are blessed. Thank you Jesus! Tonight, after many delays due to power outages, travel, and holidays, we will finally be meeting our potential donor family! We are meeting via Skype video chat. 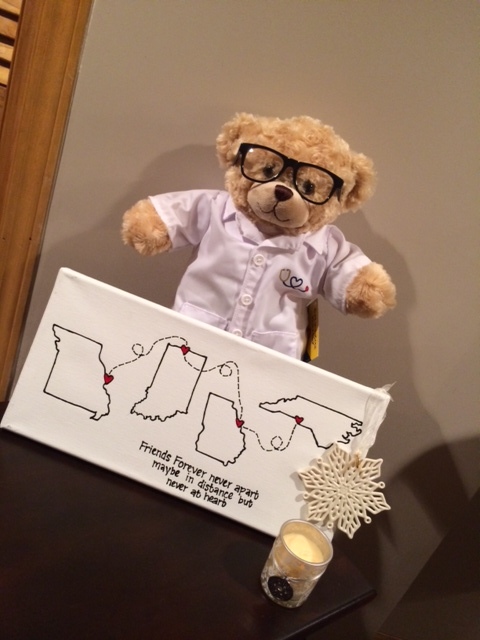 Not only will we be meeting them but also their first recipient family. The donor family has already donated some of their remaining embryos to a wonderful couple that in result has been blessed with a beautiful daughter. They are working together to find the final recipient couple. If this is our match and we are blessed with a pregnancy and live birth, our resulting child/children will already have two genetically related siblings. Pretty cool, huh?! Anyways, we’re super excited and are feeling really comfortable and confident with our communication thus far. Please join us in prayer as we take this next step in our journey. We pray that we remain focused on letting the Lord work through us and having faith in His ultimate plan. We believe He has chosen us to be a source to which these frozen miracles can be given a chance to escape the freezer they are currently being held in and have a chance at an earthly life. In honor of our embryo adoption journey, we chose and had gifted to us a snowflake ornament for our Christmas tree this year. 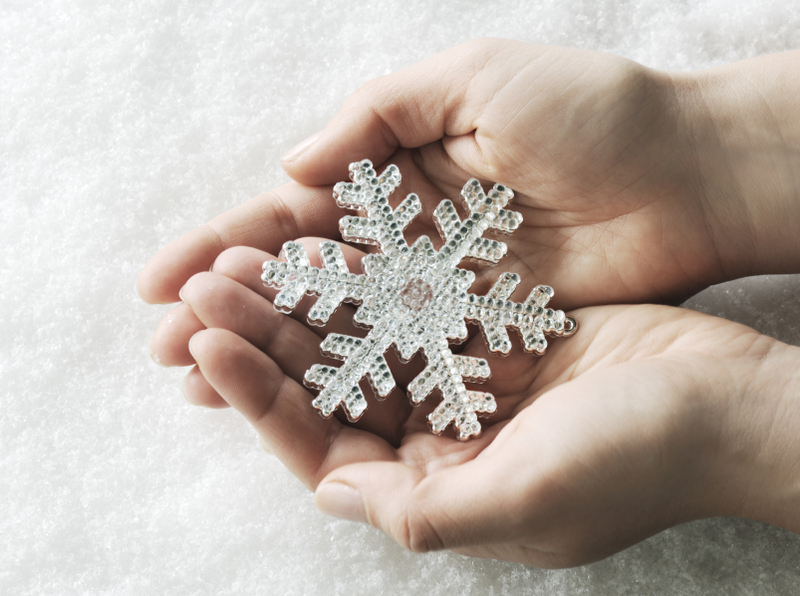 A snowflake is often a representation of an embryo that has been frozen. We hope that we will be parents to these beautiful snowflakes soon! First… I was not offered the branch library position. At first, this was a little upsetting. I felt like I was really supposed to be there at that library. When I learned who did accept the position, it made complete sense. I have faith and feel certain that the outcome was totally meant to be. So for now, I will remain where I am and continue to enjoy all my great co-workers and patrons! Second… We are moving right a long in our communication with the donor family. As I mentioned in my previous post, we had sent responses to their questions and were waiting for a response back. They wanted to take some time to read, discuss, and think about how we responded. The questions were to just get to know us a little better and see our views on some particular subjects. Well, they have responded! They emailed back and stated, “We feel that your responses to our questions were on target with what we are looking for in a recipient family.”!! This was a huge statement for Aaron and I to read. Although we are far from the end of finalizing things, this statement let us know that they are currently committed to us and allowing us to receive their remaining embryos. The past few months have been very busy for the Taylor household. I wanted to take a moment to update and share where we are at currently, in life and in our search for our miracles. Some great things have been happening and we feel incredibly blessed. Aaron was offered a new job and started exactly a week ago. He has officially begun his career in the industry of HVAC. He has been studying heating and cooling for some time now and in May will graduate and receive his degree. I am so very proud of him for the hard work he is putting forth to ensure a good life for our family. With him taking the new job that means both of us are now full time employees as well as full time students. You can see why I haven’t had time to blog. haha This semester is the first full time semester for me since taking my full time position at the library. It has been incredibly hard and exhausting for both of us, but we are pushing through and continuing to motivate one another. I also have applied and interviewed for a new position. The position is within the same library system and would be a lateral move. I would be transferring locations to a much closer branch from my home. At a branch library I will take on more responsibilities and gain more experience in other departments rather than solely doing circulation at the main library. I absolutely love my current library and all of the people there but change promotes growth and I always want to strive for that. Now, on the note of the embryo search. We are currently in contact with a family looking to donate three embryos. We have been talking with them through e-mail for a little over a week now. By the end of the week we hope to know what our next steps will be. I can share more information about the situation once we all decide if we will be moving forward. I have hope in the outcome but we have been through a failed situation once before so I am trying to remain neutral. I do feel a lot more at ease and less anxious going through the process this time. That may be because I have a lot of other things to distract me or because we now know what to expect and have gone through this once before. I have to share that this morning I received a burst of excitement and anticipation. 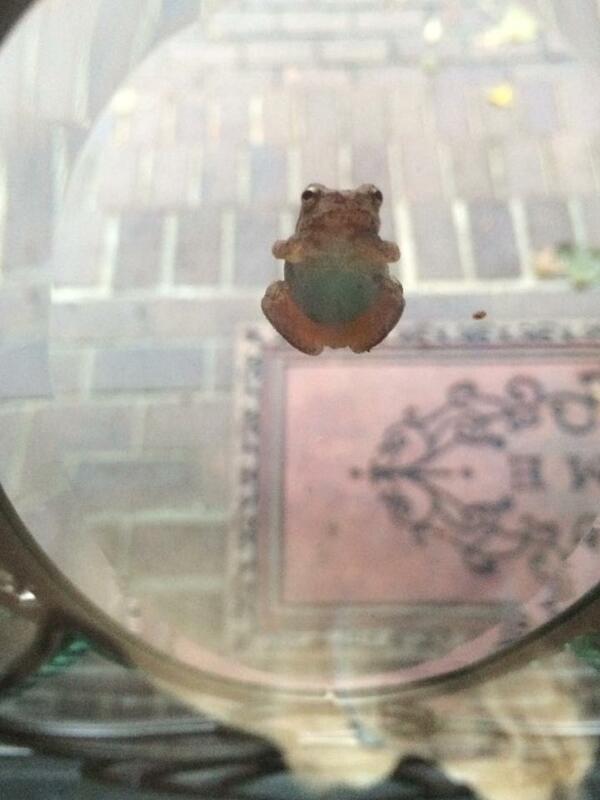 I woke up this morning to find this little guy hanging on my front door. I’ve never seen a frog like this near my home. I had a weird feeling like this frog meant something. My heart believes that things don’t happen by coincidence, so I took to Google to see if there was any symbolism with lingering frogs. This is what I read, “In many cultures the primary symbolic meaning of frogs deals with fertility. This is largely because these cultures observed Frogs laying enormous quantities of eggs, therefore making it a fertility symbol as well as a symbol of abundance.” I don’t know what this translates to for Aaron and I but it has certainly spoken to me. Call me crazy, but I think this frog could be related to our communication with this donating family and hopefully a positive outcome. I know a lot of you have been dying to hear how the meeting with the donor family went. Aaron and I had a lot to take in and needed time to do so. So we appreciate your patience in waiting to hear how it went. I will start by saying that we were happy with the meeting and we considered it to be successful. We had a lot to talk about. We stayed for nearly 2.5 hours just discussing each other’s lives, the adoption agreement, and sharing photos. It turns out we weren’t there to meet a donor family. To our surprise, we met only with the biological mother of the embryos. At the beginning of our meeting she shared with us that her and her husband are now divorced. While when they created their profile to search for a recipient they were together, they have since separated. This came as a shock to us. There were multiple times through e-mail that I mentioned her husband, leaving opportunity for her to share their current marital status. Regardless of that news, we continued on with our meeting, chatting away. When we left we shared hugs and said how nice it was to have met each other. We both left knowing we each had a lot to think, pray, and discuss about. So that’s what Aaron and I did. We drove back to our hotel room discussing our thoughts. We took all Sunday night and all day Monday to let everything settle in. We ended up coming to the conclusion that this particular donor is not a match for us. We believe the divorce between her and her husband will make it hard to have the relationship we originally envisioned. We also felt a little mislead by the breaking news of the divorce. Lastly, she, the biological mother of the embryos, wanted more in an open relationship then we are comfortable with. I have contacted the donor mother to share our decision with her. This was a difficult thing to do but she was very comforting. She understands that not everyone is looking for the relationship she is seeking. We both wished each other luck in finding a match and she said if anything were to change to contact her. Although we did not find our match, we feel well. This was a big step in us finding our donor. It has given us a greater understanding of how this part of the process should go. It would have been so easy to have just gone with it, getting the embryos and completing the process with this donor. But we knew, along with our families, that it wasn’t the right match for us. Colossians 1:11 explains how I am feeling about this stepping-stone in our journey. I feel so strengthened and joyous by making the decision to wait for the right match. We are not to the end of our journey but the Lord is blessing us throughout it. We feel this just as much as we feel your love, support and encouragement. Thank you for that! For now, we continue to remain open and see what other options the Lord brings our way. Some very exciting things have been happening lately. Things that have consumed a lot of my writing time. haha I can’t wait to share with you all. About a week ago, we received an e-mail from one of the donor couples we contacted. It came as such a shock. Since my last post I have relaxed a lot. The excitement has settled to the point that I’m not checking my e-mail every 10 minutes to look for a response. Lol. It’s amazing how God works and how he surprises us when we least expect it. Aaron and I had diligently been praying over myself, to free me from the anxiousness. Just as I gave it to the Lord, he proved himself to me. I became free from the worry and then WHAM, I get this amazing response from a donor family, one that we were interested in from the very beginning. I was at work when I read the e-mail. I had to take a minute to contact Aaron and share the news. I could hardly contain myself. The e-mail consisted of them wanting to know what we were looking for in an adoption relationship and shared some information about where the embryos are currently stored. They shared with us that the embryos are frozen in Arizona, their previous home, and that that is where they would need to be used. They also let us know that they were searching for recipients who wanted an open adoption. This is something I have felt strongly about since we ever considered adoption. I absolutely wanted an open adoption. We feel that the children will deserve to know of their origins. They will have genetic siblings living within 300 miles from us. We want them to know and experience a relationship with them. We would like for this donor family to become like an extended family of ours. We envision an aunt/uncle, cousin type relationship. They are choosing to give part of them away. Their selfless act will leave us forever grateful. The details of this arrangement will continue to be discussed and will eventually be outlined in a legal contract should our communication result in a match. Since the discussion on the open relationship we have just been e-mailing back and forth, getting to know each other. Soon, maybe tonight, we will chat on the phone. If everything continues to progress nicely this week, we will be meeting the family this weekend, most likely Sunday, in their state of Ohio. It’s funny how it worked out, actually. Aaron and I planned on being in Ohio for a Cedar Point trip with his parent’s and some customers of the company Aaron works for. When we realized how close the donor family lived to Cedar Point, we knew we wanted to take some time out of our day to meet them if they were up for it. When we proposed the idea, they thought just as much as we did that that was a great idea. We’re so excited to see where this leads. I look forward to hopefully being able to share some more good news with you all, soon! For now, I want to thank you for your encouragement and prayers. We surely are feeling them and we are greatly appreciative!